We're already halfway done with the year and what a year it's been. The summer is upon us. The birds are signing, the children are playing, the dogs are barking, the ice cream is melting... it's the best time of year except where I was living at the time which was Arizona because the temperature gets up to about 115 and you can't really spend a lot of time outside without dying. This month was dedicated to working on Otter to make it into something more usable for the general public. The main problem with the engine at the time was that I kept updating it and I had totally outdated example videos. I buckled down and got a simple content management system up and running on the Otter site and started churning out examples. I wanted to focus on getting potential new users up and running with the engine so that I could hopefully expand the community, which would lead to more people using it and contributing to it hopefully! I also went to EVO this month with a bunch of amazing people and it was the most amount of fun you could possibly fit on a bun. August was a pretty strange month because I spent most of it traveling. The first half of the month was pretty much spent visiting my home land of the Northeast. It's much more pleasant to visit Upstate New York in the summer than the winter... although this year the winter for some reason it's been 60s and 70s, so shout outs to El Nino and global warming, I guess. Also what made it strange was it was the official end of the indie house in Arizona! After living together for like 5 years or something crazy like that, we decided it was time to go our separate ways. I think this was for the best, as you probably need some change in your life and your surroundings to keep growing as a person, and it felt like things were getting stagnant in the desert. The plans to move out were in motion, and I still had more travel to do, so things were going to get crazy. I only had a limited amount of time before I had to take to the skies once again though. I did a little bit of reflecting and I had high apply pie in the sky hopes of maybe finishing Otter to a 1.0 version, but I kinda don't think that will ever happen with just me working on it unfortunately. 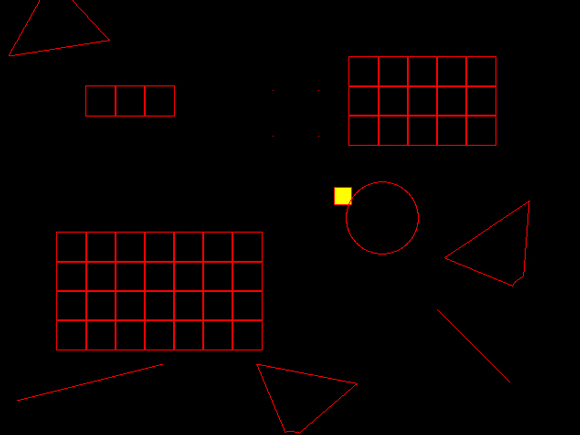 I did some more examples for Otter for some more complicated stuff like collision detection. The end of August came, and suddenly I found myself in Seattle for PAX for my yearly summer trip up to the Pacific Northwest. This was a pretty weird month to say the least. It more or less began in Vancouver as I went to visit the indie house up there. So what did I do when I got there? Well I started a brand new prototype, of course! What else am I going to do surrounded by really cool people working on cool stuff? Working away at grunt work to finish a game feels really crappy when you could be working on a sparkling new project which is probably a big part of my problem! I became pretty obsessed with moving platforms and getting wall jumping to work with them and all this kind of stuff... so I went down a rabbit hole of despair pretty quickly. My girlfriend Corey had applied at a game studio in Denver, Colorado back in July. We still had no idea if she was going to get the job or not because they had been pretty sluggish at keeping us updated on the status of her application. We were basically stuck in limbo because we didn't want to sign a lease on a new place if we were going to be potentially moving to a new state. When I got back to Arizona I immediately packed up my room at the old indie house, and Corey and I opted to go stay with some friends of ours. They had a spare room in their house, and were kind enough to let us crash there for what ended up being a pretty long time, whoops! So I found myself in a new situation where all I had access to was my laptop for working on stuff. My desktop was totally packed away, and all I had pretty much was a small table and an air mattress. It was pretty cool actually... I went from having a lot of stuff around me to almost nothing. I ended up going to a local coffee shop just about every day to work and I noticed it had a pretty strong effect on my motivation and work ethic. I continued to work on my platformer ideas from a coffee shop in Gilbert, Arizona. I got to the point where everything felt frustrating though because I just ended up aiming too high as usual. The problem was that I had been exposed to Mario Maker, a game where almost everything interacts with everything, and you can have stuff move and push and carry other things, so I wanted my platforming system to be able to match that... and also have slopes. What is wrong with me! I ended this month with some more Otter examples. So by this point life was feeling pretty weird! I had just got back from a bunch of travel and now I'm in a spare bedroom living in a house with my friends and their three little kids, and three cats. Things were pretty chaotic, but it felt like a lot of fun, and a cool change of pace. I still had no idea if I was staying in the desert or moving to Denver at the time, but I had a feeling that we were going to be going to Denver in the near future. Hey it's another recap post to see if I actually did anything this year, yeehaw! I think I did some stuff, but it's never enough! In the magical land of Super Sky Sisters I thought it would be an amazing idea to make some sort of graphing system for the end of each round that is played. I remember this being pretty fun to work on, but I have no idea if it was worth it. Then again, I never have any idea if anything is worth it! Look at how cool that looks though! It looks like this month I started to run out of steam after working on a bunch of menu stuff for what felt like forever. I think this was the point where I realized all my work on the menus and UI stuff was totally eclipsing the amount of work I had done on the game, and that probably did a number on my motivation. I was doodling a lot this month. And I also did a presentation at the Phoenix IGDA about making explosions and that was pretty fun. This was when Sky Sisters began to feel like a weight. I became so close to being finished with it but I just felt like it wasn't there. I had to do the player animations, and I still, cannot do it. Whenever I try I just end up making garbage art that I'm never happy with, and I still feel like the game is just not there... if a game is just "okay" then it might as well be just total crap, right? Nobody will play an "okay" game when there are so many amazing games out there. Okay so let's procrastinate on this game by adding more useless junk to it. I don't know. 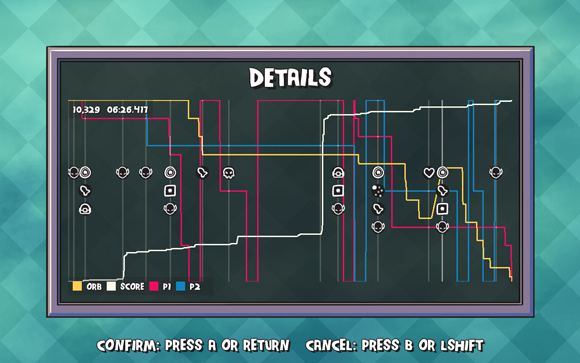 I worked on making the graph at the end of a Sky Sisters round super optimized so it wouldn't take a long time to load for long rounds. 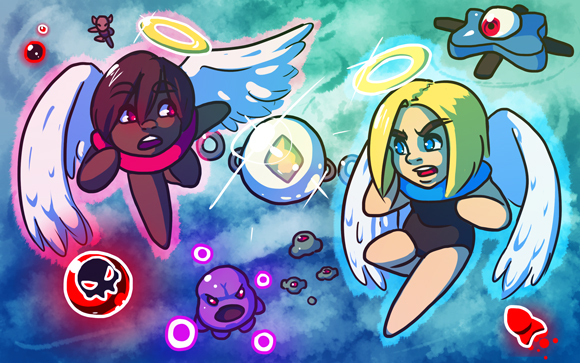 I then buckled down and tried to animate some of the enemies for Super Sky Sisters and well it went okay I guess. 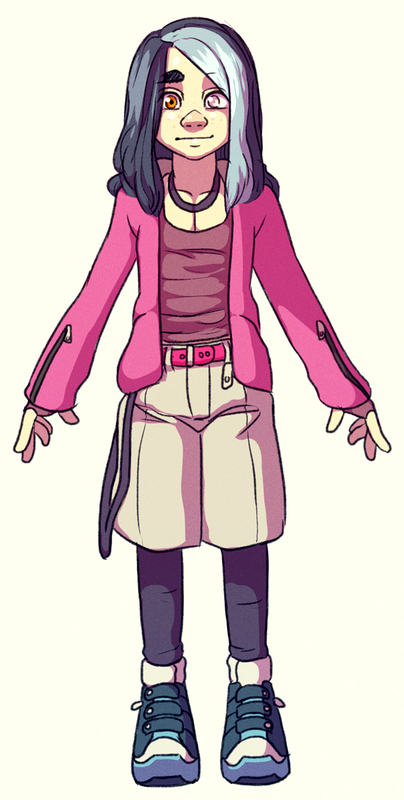 I ended up redoing that animation later because dang it is so bad. I also began my existential crisis about the future of my game engine that's still happening today. Was it a good idea to even make this engine? I guess I've had a lot of fun with it... and people are using it... but is it really good enough to ship anything with? I don't think I have enough technical background to push it much further, and it probably needs a lot more work to be totally sound... I don't know! Another rant I'll save for later I guess. I did this animation for Sky Sisters that just looks way better than everything else in the game, whoops. 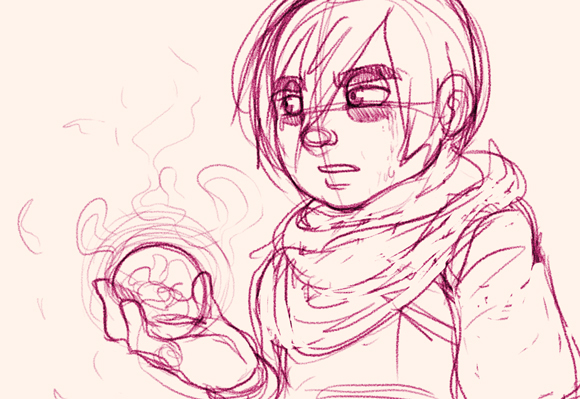 I guess by now I was feeling better about Sky Sisters with some animations getting done, but as usual I'm pretty sure I was a horrible mess of stress and anxiety as I just tried to push forward on everything. Neat. To start things off for 2015 I signed up for toggl which is a neat time tracking thing. I only use the free version and I've been tracking things in broad categories, but I think this turned out to be a pretty good idea because I can finally see how much time I'm spending on various things throughout the day, week, month, and year. This month was also apparently when I first prototyped the game idea I'm currently working on now! So I've already been working on this game for about a year... I don't know how I feel about that. Time goes so fast and I hate it. Toward the end of the month I worked on a tool to use Google Spreadsheets to sync data with my games. I ended up making an external tool for Visual Studio that can end up parsing a google spreadsheet and turning it into a .cs file full of data. A lot of people seem weirded out by this but I guess when you're working solo having all of your assets embedded into the code with autocomplete and intellisense options is really handy. I also was able to finish a new splash page for my website which features my game first and my blog second. I felt like a lot of people were probably coming to my site to find my games so I wanted to put those first and foremost. 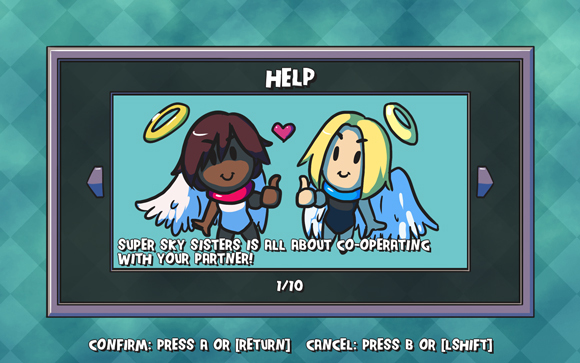 February was heavily spent on the new version of Super Sky Sisters which I have... uh... still failed to release. 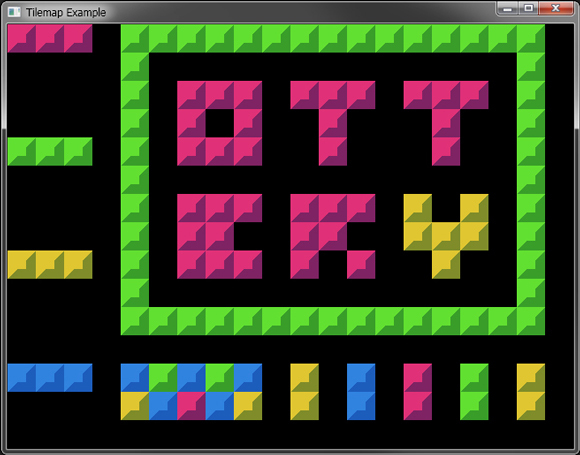 I also worked a bunch on Otter and pushed a lot of neat updates. I also dove into more shader stuff for Sky Sisters as I worked on the background sky for the game. What's funny now is that I don't even know if this will end up being the final background for when the game actually does come out someday. Not a whole lot else other than more Super Sky Sisters work going on for February, which in retrospect seems really nice. Focusing on one thing for a month feels pretty good usually! Some part of March was spent at Game Developers Conference, and if I recall correctly I got super duper sick this year. Recovering from traveling and getting sick took a little bit longer than usual, but I did get back into it and continued work on making some cool boss monsters for Sky Sisters. More work went into the menus and making them feel all neat and stuff with a fancy transition. Having a cool transition that isn't just a fade out and fade back can really add a lot of personality to a game! Another whole month spent on one game? What a miracle. 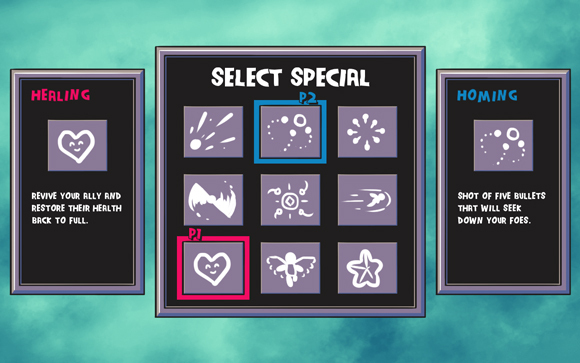 Toward the end of the month I was laying out the rest of the menu and hud stuff, like stats and hud options and everything a real video game needs. Things were looking pretty good at the start of the year and I was doing a lot of work on Sky Sisters! But what will happen next? Will I keep up this pace or will I be side tracked down a dark path into oblivion? Find out in the next episode. At the end of the battle if any enemies dropped any new dice for you to grab you can choose to add them to your dice bag. So right now the game uses a generic dice inventory user interface that can be loaded with different sets of dice. 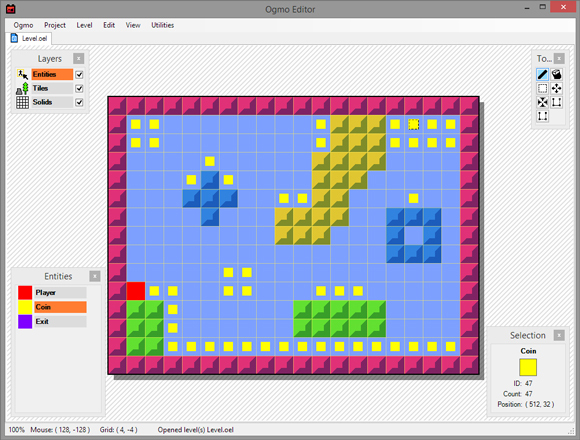 The dice that the enemies drop are loaded on the left side, and the player's dice bag are loaded on the right. You can also bring up your dice inventory any time in the overworld screen, and I'll actually probably end up turning the dice inventory screen on the overworld into the main menu that shows all your stats and what not. It's been a lot of fun working on this prototype and hopefully that continues for awhile. I figure once I hit a wall with this I can go back and finally finish Super Sky Sisters like I was supposed to a billion years ago.